Satellite operator SES ordered seven ‘super-powered medium earth orbit (MEO) satellites’ from Boeing to join the O3b satellite constellation orbiting over the equator to expand high-capacity services forecast to be in demand to deliver data connectivity to more ships, aircraft, businesses and homes. ‘O3b mPOWER’ is expected to be ready for launch in 2021 and will deliver 28,000 spot beams for broadband internet distribution with a combined data throughput of multiple terabits per second – surpassing any current geostationary-based satellite system. The O3b mPOWER satellites will be based on Boeing’s 702 satellite platform optimized for the unique Medium Earth Orbit Environment and host the most advanced digital processing payload developed by Boeing to date to deliver broadband services to more parts of the world than the baseline 20-satellite O3b constellation, enabling the combined satellite fleet to meet the entire data traffic needs of some small countries and deliver services to more mobile users. 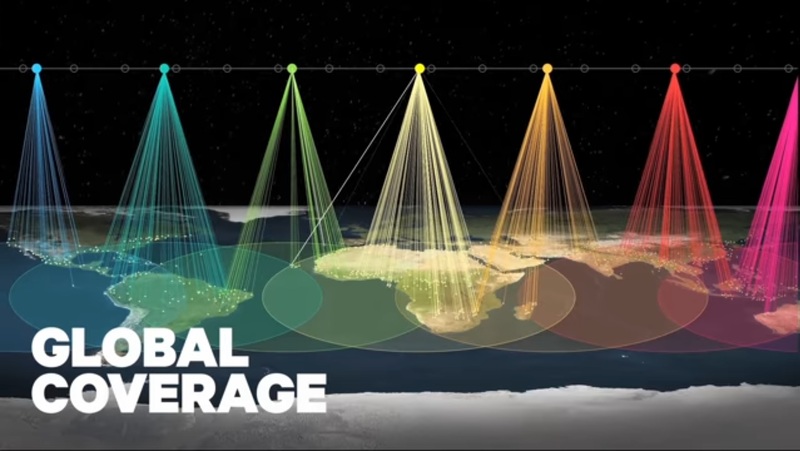 O3b networks started out in 2007 with the vision of connecting “[The] Other 3 Billion” – referring to the population of the world where broadband Internet is not readily available. Founded by Greg Wyler, the company received backing from a number of firms including SES to order its first satellites. 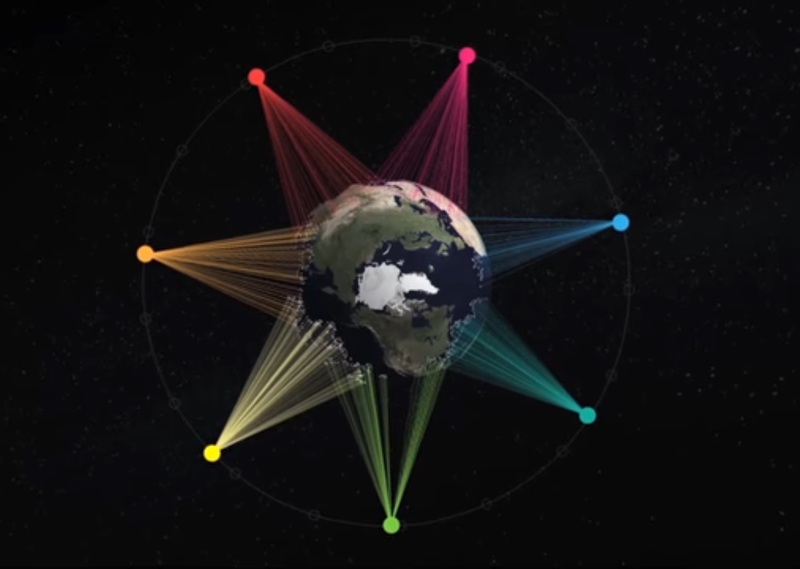 O3b sent up its first four satellites in June 2013 and two more batches launched in 2014, bringing the constellation to a dozen satellites orbiting 8,000 Kilometers over the equator, or at around a third the distance to Geostationary Orbit which significantly cuts signal latency – a major factor when aiming for fast Internet services. 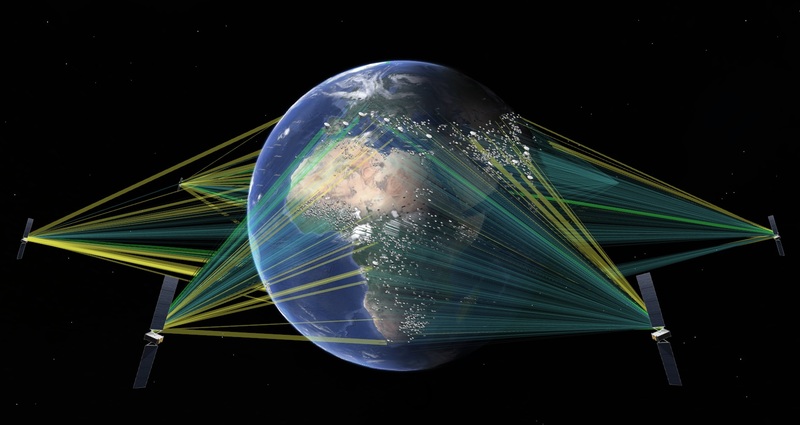 Operators in the Cook Islands, Pakistan and Nigeria were among the first to book capacity on O3b and the constellation began connecting more African countries and island nations as it entered operational services. The satellites also offer services to cruise ships and through an initial partnership with SES, O3b was able to deliver services to U.S. government agencies including NOAA and the Department of Defence. In April 2016, SES announced the company was increasing its ownership of O3b to a majority share of 50.5% and also said it would purchase all of O3b Networks to make it a wholly-owned SES subsidy. 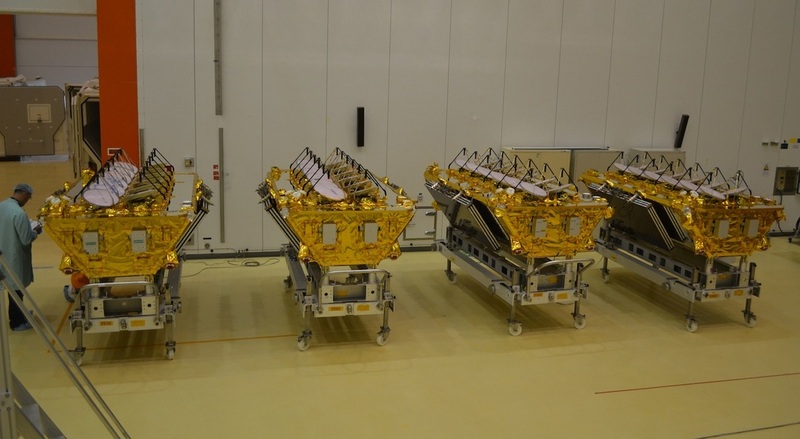 The standard O3b satellites of which 12 are in orbit and another two batches are aiming for launch in 2018 and 19 were built by Thales Alenia Space – each weighing 700 Kilograms and hosting 12 steerable Ka-Band antennas with two beams for gateways and ten user beams with a throughput of 800 Mbit/s per direction, resulting in a total capacity of 16 Gbit/s per satellite. The maximum data rate for a TCP connection is 2.1 Mbit/s with an end-to-end round trip latency of 140 milliseconds for data services. Maritime applications are offered at data speeds exceeding 500 Mbit/s. 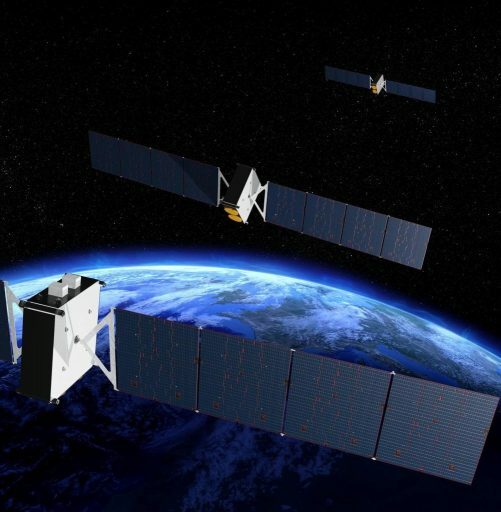 For the O3b mPOWER satellites, SES decided to switch to Boeing and the more massive BSS-702-based platform that can be sized to accommodate the largest communications payloads currently in operation. Customized for use in the Medium Earth Orbit Regime, the seven O3b mPOWER satellites will have much higher power and capacity than their predecessors, though specifications were not provided by Boeing or SES. It was noted that additional satellites at higher inclinations could be added to expand the constellation’s service area to latitudes higher than 45 degrees which is the current limit of the O3b constellation. Financial details of the O3b mPOWER procurement were not discussed, though SES said the company is not investing more than already planned for O3b in its expenditure forecast and the company plans to cancel the replacement of two of its aging geostationary satellites to offset the cost of the O3b mPOWER constellation segment. 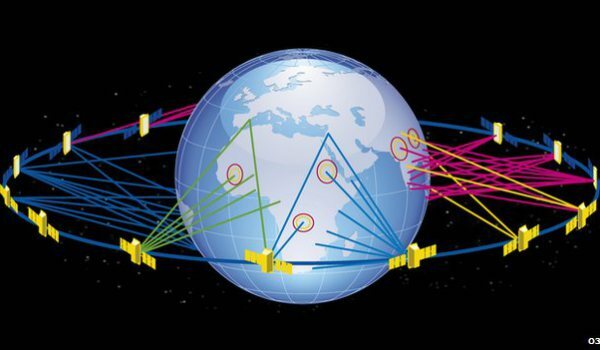 SES said the major advantage of a multi-satellite system such as O3b is its scalability as more satellites can be added over time when demands emerge. The O3b mPOWER satellites, via new phased array antennas not yet flown in space, will each offer 4,000 spot beams – a quantum leap from the ten beams provided by each of the much smaller O3b satellites currently in operation. Using advanced digital payloads, the satellites can reform beams to respond to customer demands with tens of thousands of end points that can be served by the constellation – much more than the 200-client limit of the baseline O3b constellation. O3b mPOWER will allow for capacity delivered to end users to be catered to their needs, ranging from hundreds of megabits to a 10 Gbit/s connection to a cruise ship. 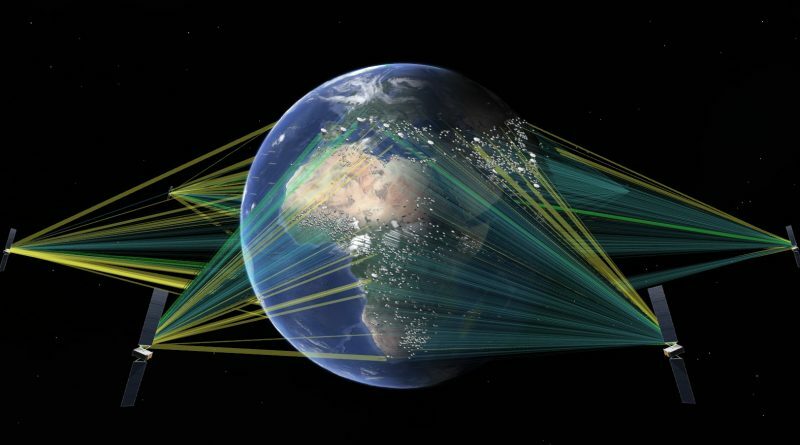 The plan calls for compatible ground terminals to be able to switch between passing O3b mPOWER satellites, SES geostationary broadband satellites and terrestrial networks to allow SES to deliver optimized global coverage. The O3b mPOWER satellites do not have a launch vehicle yet and SES expects that three or four satellites could fly on the same booster. Although the satellites target an operational orbit over the equator, the O3b mPOWER constellation is not limited to launch vehicles flying out of French Guiana as the satellites host electric propulsion systems that could be used to reduce orbital inclination if launching from a space port at higher latitude, like Cape Canaveral.